Slots machines are some of the most popular casino games. Due to the low requirement of skill and possibility of large jackpots associated with playing slots, the game has become a top choice among players. Slot machines can have up to 5 reels, which are marked with different pictures. When a button is pushed, the reels spin. When they stop, the pictures are displayed in a row. If a pattern is revealed, then you win! The most basic of all slots variations is the single reel slot machine. 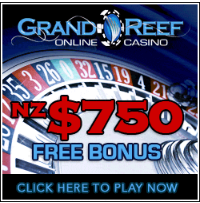 These games have only one payline, so players have only one chance to win per spin. Then, there are multi-line slots which have anywhere from 3 to 5 paylines, so the player can win if they obtain matches on any line. There are more chances to win with this variation, but jackpots are usually only available if you obtain matches on the middle payline. Slot machines also differ in terms of payouts. Any of these variations can be made into Pay-for-Play, or Progressive Slots. Pay-For-Play slots reward players based on the number of coins they wager. So, if a player that wagers 1 coin wins the jackpot, they would not earn as much money as they would have if they had wagered 3 coins. The payout is different for each Pay-for-Play machine, so it is important to read the fine print. The most popular type of slots are progressive machines, as they offer the highest jackpots of any slots. Progressive slots are placed in a group with other slot machines. A portion of every player’s wager is placed into a pool. There are usually dozens of slots contributing to one pool, so these jackpots are continually climbing, often reaching millions of dollars.